Thank You for Carmen. By Your Great Inspiration Prosper Merimee had created Carmen on the paper and Georges Biset had inhaled the Soul to her! What’s the brilliance of melody, harmony, atmosphere and orchestration! Carmen is a rare rose, she breathes with every drops of the rain of Love, true Love she exists because of. Carmen lives in Seville. 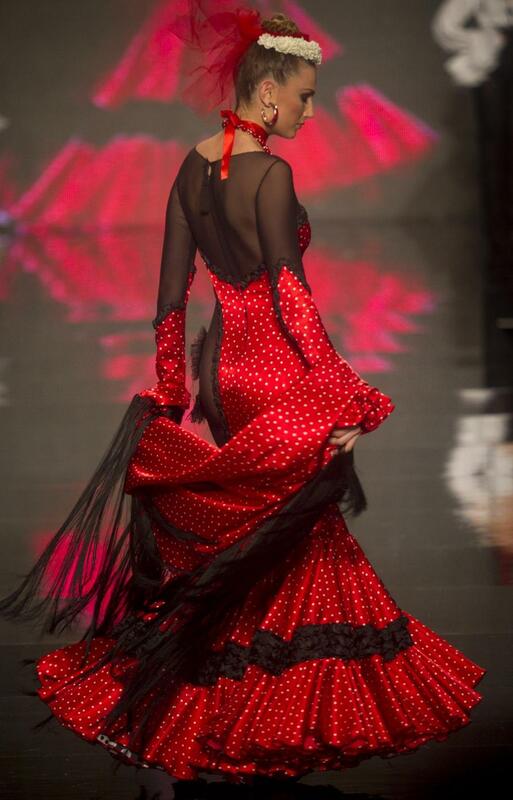 And you know the International Flamenco Fashion Show has opened there. You are lucky if you are in Seville until 8 February – you can see this fantastic show. La Habanera is for today! If I love you, take guard yourself! You no longer await it, there it is. You think to flee it, it holds you. Thank you for sharing with me my fascination of Carmen. I love your smile – I am here to see and feel a sparkles in your eyes. Today the sparkles are from Spain! Gorgeous outfits! Gorgeous poetry! Gorgeous love! Nueva horterada de tópicos en cascada de etnica ignorancia supina. wow – beautiful – I was deeply touched by the clip if Andre Rieu, I personally met him in Holland and Switzerland! I love Carmen so much too, and have watched many adaptations of it! Such a beautiful mix of drama, passion, art, fashion…. These gowns are utterly gorgeous! Thanks for stopping by at my blog, gave me a chance to enjoy this. Now I’m totally captivated. Good job!